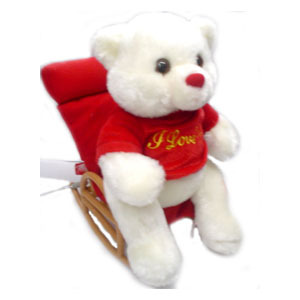 A 10” tall teddy sitting on a rocking chair. The teddy also sings at the press of a button. Guaranteed to make your loved one love you more.